Peak Beings’ Yoga Teacher Trainings are 200 and 300 Hour immersion trainings that take place in Hawaii, Bali, Costa Rica and Mexico. 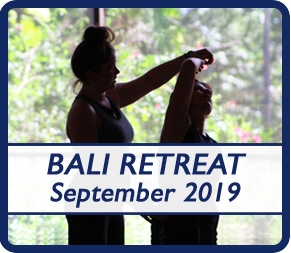 We are very excited for our 200 Hour and 300 Hour Yoga Teacher Trainings in Bali in 2019. Peak Beings Yoga is a Registered Yoga School (RYS) with the Yoga Alliance. The style of the Yoga Teacher Trainings is in Unified Yoga™ which draws from a variety of different styles. For more details on the Unified Yoga™ Style you can visit our FAQ Page. In general the Unified Yoga Teacher Trainings are based in a hatha vinyasa or flow style of yoga, but you will also experience a variety of different styles of yoga throughout the training. Certification through our Unified Yoga Teacher Trainings will allow you to evolve your yoga practice and teaching as you change and as yoga styles continue to develop. All Unified Yoga Teacher Trainings in Bali are multi-dimensional that will not limit you to pursue one style of teaching or practice. Please check out the Testimonials from previous students who have attended the Unified Yoga Teacher Trainings here – Peak Beings Yoga Testimonials. Teachers will leave the Bali Yoga Teacher Trainings having taught a 1.5 hour vinyasa yoga class as well as the tools to work with students with a variety of different goals and abilities. The core philosophy of our trainings is creating a fun, safe and creative space for future teachers to develop and deepen their yoga teaching. Peak Beings approaches the learning process from many different approaches including communicative, contemplative, and experiential. We welcome students who are looking to teach yoga or who are just looking to deepen and explore their practice. In addition to learning to guide a yoga class, we will cover many other topics including yogic philosophy, history, meditation, chakras, and chanting. For more details on topics covered please see our 200 Hour Unified Yoga Teacher Training™ Curriculum. Peak Beings’ Yoga Teacher Trainings exceed the Yoga Alliance Certification Standards and all teachers will be recognized by the Yoga Alliance as a Registered Yoga Teacher (RYT). All Unified Yoga Teacher Trainings are guided by Troy McPeak, E-RYT 500. Yogi Troy has directed over 20 Yoga Teacher Trainings under his Unified Yoga philosophy. For more about Yogi Troy please see the About Us page. Please visit our FAQ page or Contact Us if you have any additional questions.